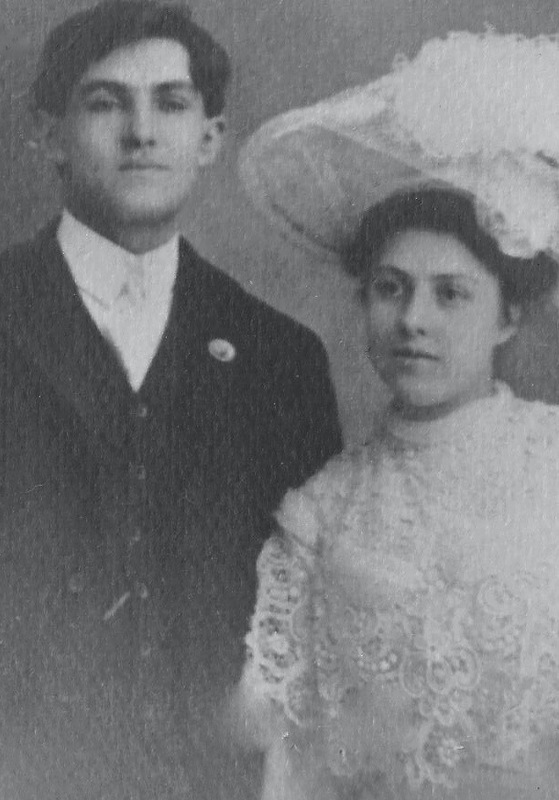 Following along the lines of my Granny Mary’s lineage, here is a photo of her parents, my great-grandparents. Will and Laura Boucher (pronounced boo-shay). I have always thought Will Boucher very handsome and Laura (whom I called Great Grandma when she was alive) was also very beautiful. I wrote about her in this post. She was a wonderful woman. Very gentle and kind. She was very much in love with Will. They had seven children. Granny Mary was their second child. Will died under very mysterious circumstances when he was in his early thirties. He decided to move his family away from Coeur d’Alene, Idaho to Vancouver Island, British Columbia. This didn’t sit well with Laura’s father, Ben Chainey (I will talk about him in another post). Regardless, Will moved the family anyway. I don’t recall the reason why he moved. I believe it was a job opportunity but I can’t remember what that was. He was killed accidentally by his business partner when they were out hunting. Shot in the stomach, his birth certificate says. I find his death interesting and wonder if it really was an accident. We will never know. Ben Chainey helped Laura move the family back home to Coeur d’Alene where she lived until she died when she was 96 (she also spent time in California later in her life). She never remarried. I use to work with a lady named Jackie Boucher here in ca! Maybe you’re related…that’s not a very common name. It is possible! My grandma’s brother lived in Southern CA and I have relatives there.